I’ve seen a lot of debate about the performance of the Western Digital My Cloud NAS Server. And perhaps the biggest complaint and misunderstanding has been, that the transfer rate is low. >> In this guide I explain the speed issue and how I have made My Cloud fast for both wired, and wireless connections. While My Cloud might not be the best option for everyone, it’s really a beautiful device that performs well under the right circumstances. For me personally, regular external hard drives are a thing of the past. Especially when it comes to transfer speed between your computer and the drive, there are a lot of factors to consider. Luckily, most of them are hardware problems that are easy to fix. If you are serious about speed, you will have to be serious about your hardware too. Either by using the cheap but excellent ethernet cable method, or by making a bigger investment in top-of-the-line Wi-Fi technology. There can be software problems too, in conjunction with other software and operating systems. First thing is to make sure you are running the latest My Cloud Firmware which is v04.00.01-623 at the time of writing. Also it’s a good idea to check for updates for your operating system. For example, just recently Mac OS X had released a software update that improves SMB (Samba) connections to the drive. WD My Cloud uses an Ethernet cable for wired connections. This is the way to get the best speeds out of your drive. Compared to the traditional and clumsy USB connection, it has a much more sturdy connector, with a huge speed capacity. Especially if you are using a laptop, ethernet will be a life saver over USB. It cannot be connected directly between your computer and drive. There has to be a router or switch in between, which enables the device to have a connection with the outside world (internet). The common problem is that your router is not fast enough. My Cloud is horribly slow with a 100Mbps connection. To enjoy the full speed capacity, you need a Gigabit Ethernet (1000Mbps-T) router or switch. If you are not planning on upgrading your Wi-Fi router (more about that later), a good option is to buy an inexpensive Ethernet Switch and you won’t have to worry about speed problems, ever again. A “Switch” is a device that simply builds a network connection between your computers, your internet router and the My Cloud drive. So that they can talk (transfer data) to each other. You can attach all your devices to the switch and no software is required. Smooth..
A highly recommended, inexpensive gigabit ethernet switch is the legendary NETGEAR GS105. It’s a compact and powerful device, that you can rely on to distribute your traffic simultaneously across five different devices. I wouldn’t recommend going any cheaper than that, if you want to have a good night sleep. Anyway, the NETGEAR switch is already very cheap. Don’t forget to check your computer’s connection limits too. Luckily 1000Mbps-T is pretty standard and well supported. There are also different types of ethernet cables, which support different speeds. Just make sure it’s not the older type known as Cat5 (usually written on the cable). The average cable is Cat5e, and should be fast enough. But if you are going to buy a new one, you might as well get the later Cat6, which is an improved version and can go up to 10-Gigabit speeds. Cat5/Cat6 cables won’t make much price difference. Wi-Fi is somewhat trickier, and an upgrade is not going to be cheap. You really need to get a damn good router and a corresponding Wi-Fi Adapter if you plan on enjoying the luxury of a fast wireless connection. No matter what the standard, buying a cheap Wi-Fi router is not a good idea. Fast, simple & beautiful. — If you are a Mac user or not, the simplest way is to grab the latest 6th generation Airport Extreme Base Station and you are good to go. With full backwards compatibility to any standard there is, you will automatically have the fastest possible speeds your machine can handle. Even if you are with a Wi-Fi adapter that supports up to 802.11n, you won’t regret it on your next upgrade to a 802.11ac adapter. The Best There is. — The powerful, “ASUS RT-AC87U Wireless-AC2400 Dual Band Gigabit Router” is top-of-the-line. Range and speed is simply amazing, with all the candy one can ever need. Just make friends with it. For the receiving end, you need a 802.11ac network adapter of course. Oh and by means of sincerity, I want to educate my readers about the possibility of affiliate links on the blog. Biig thanks for the voluntary support. Thanks for reading and hopefully sharing, David. Hi, im using WD My Cloud connected to my Dlink 5-Port Gigabit Easy Desktop Switch (GO-SW-5G), my PC with 1gbps network card is also connected to Dlink Desktop Switch. My router is Asus RT-AC66U, My internet connection is a 1gbps plan. All my cables are cat 6 (able to support 1gbps). When i do large file into WD My Cloud, my maximum transfer rate is only 70mb/sec. Is this the normal speed or is it consider slow ? Thank for the advice. This is considered a good speed. Have you tried with other devices or internal HDD? I have an old MacBook Pro, which definitely has it’s limitations. 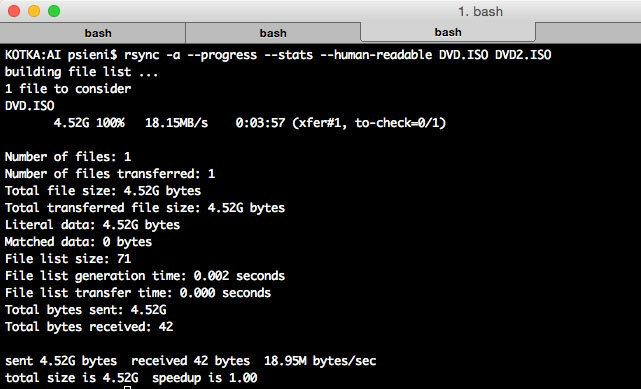 Below I tested the speeds to transfer a DVD sized file (4.52G) on the ethernet connection. Is the cable Cat5e? 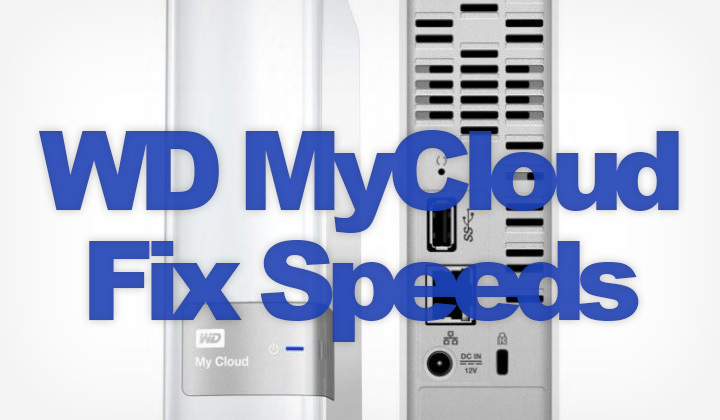 There is potential for a slow down between two MyCloud devices in comparison. Depending on what kind of a setup is giving @12MB/s speeds. For suggestions I am out of ideas unfortunately. Update: For sh1ts and gi1gles, I wired in a Win10 HP Pavilion AIO and open up both devices through explorer-samba (same network hardware). Drop and drag produces sustains speeds that jump from 40-80MB/s! To my shock (and pleasant surprise), this method was able to (reliably) move 1.2TB without error at 40-80MB/s. 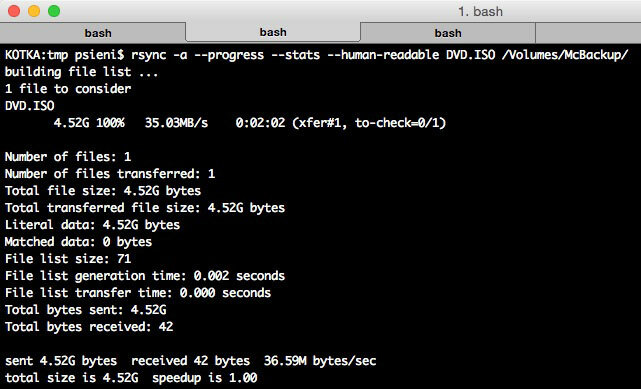 In the past rSync did no throw errors when transferring from one device to another directly at 12MB/s. In the past, drop and drag (XP) was not reliable for any transfer over 10GB, unlike this new experience (Win10). Its a nightmare to stream hd video content on my 1gblan loc network. Rainoid, I bought the 6TB mycloud for hd video streaming & it worked great on my netgear nighthawk router for almost a year, but now it pauses for loading about every 15 seconds. I wonder what made it slow down. WD cycloid E4 has two ethernet 1000 ports on the back with two 3GBs USBb cords. Can I plug two ethernet cords in to make the connection faster. Can I bridge the two ethernet connection somehow? As far as I know, this is not possible. Theoretical speed limit of a single gigabit ethernet connection is 125 megabytes per second. Enough for most people.